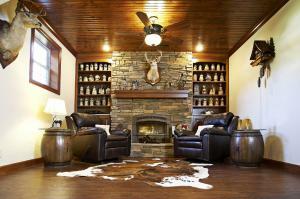 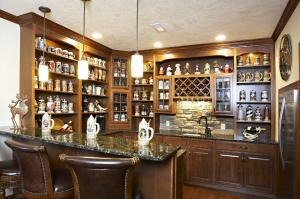 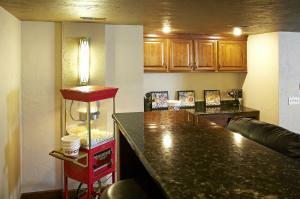 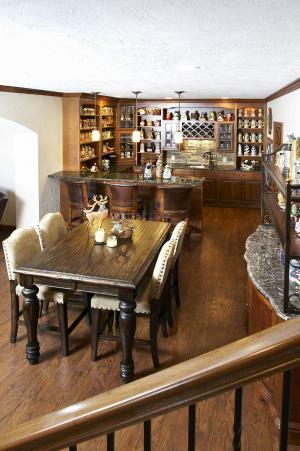 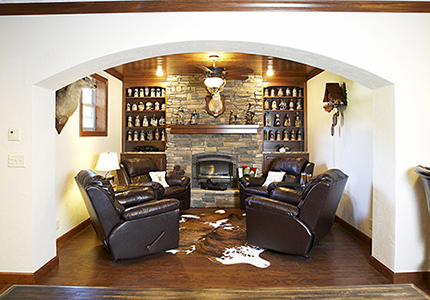 Rustic man cave meets custom contemporary features in this basement finish that literally has it all. 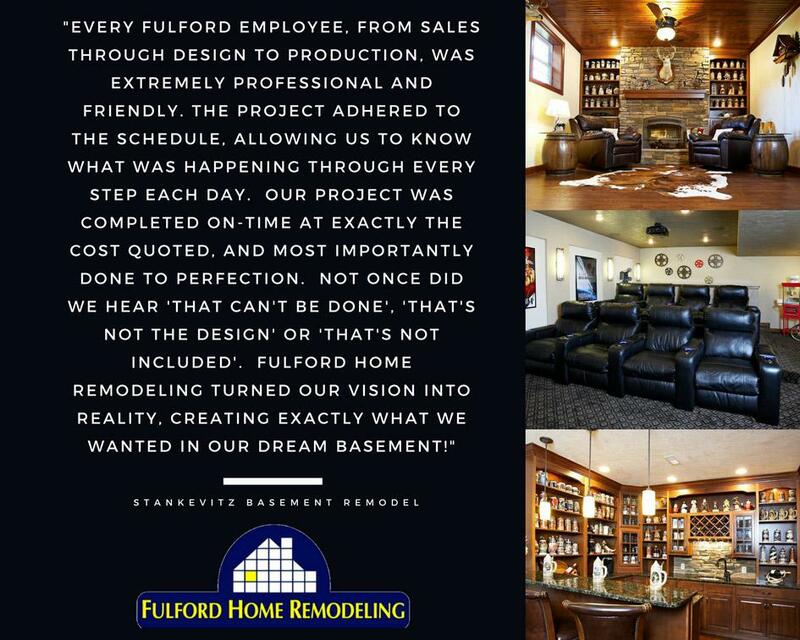 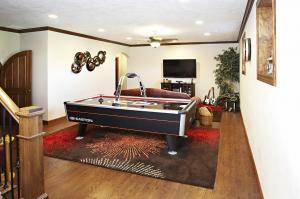 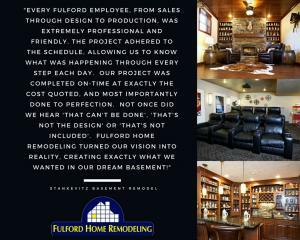 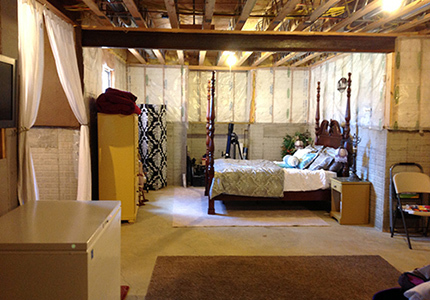 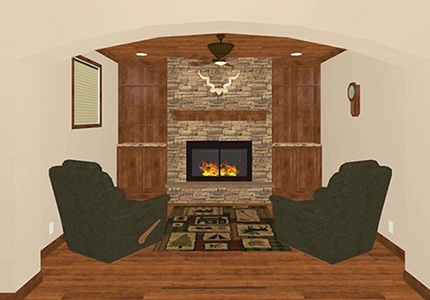 This basement in Lebanon IL started out cold and boring like most other basements, but was brought to life with Fulford's initial 3D virtual design. 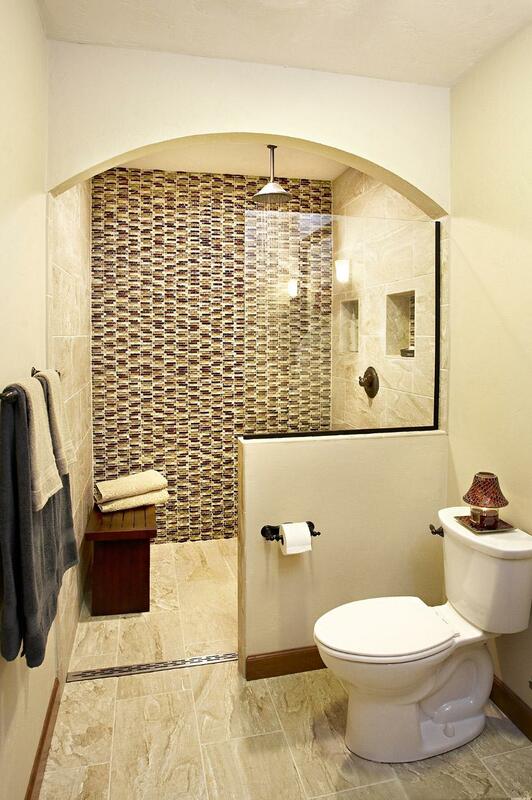 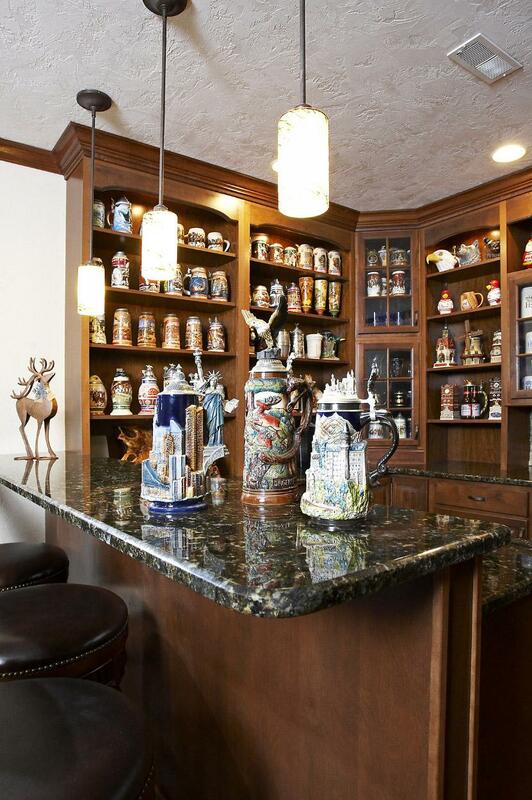 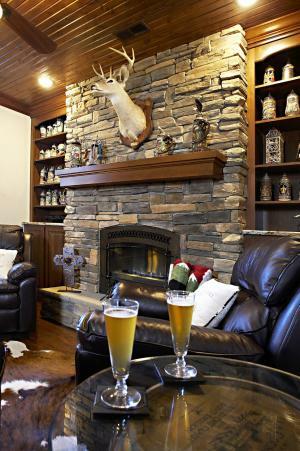 The design included just about everything a person could ever dream of wanting in a basement; a custom theater room, “beer stein” themed wet bar, hearth room, entertainment room, craft room, exercise room, and a luxury spa bathroom with a walk-in tile shower. 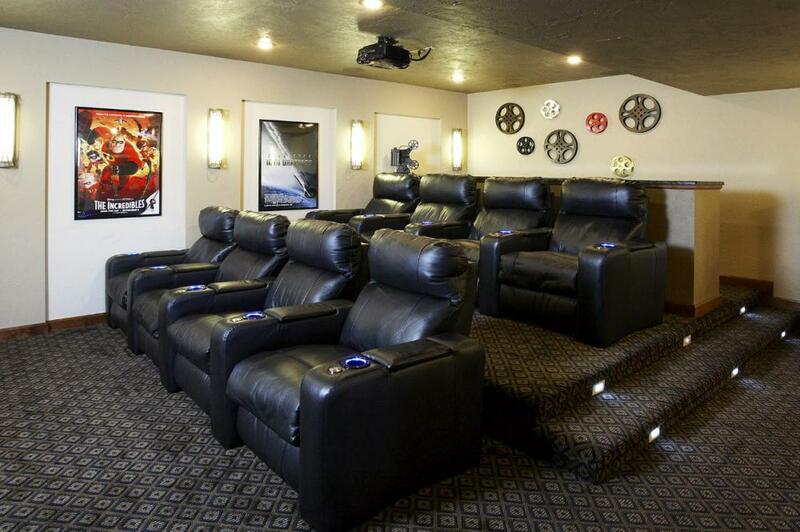 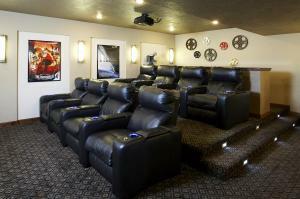 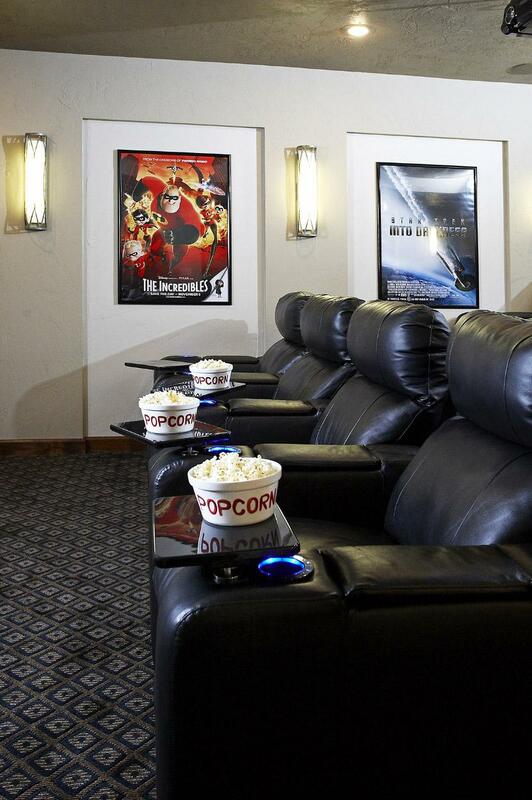 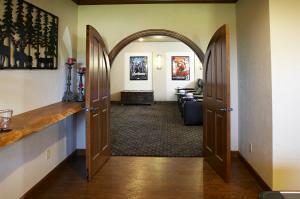 Other basement features included multiple lighting options, water-resistant “vinyl plank” flooring, arched theater room entry doors, an open-baluster stair system with decorative aluminum spindles, and a custom dry bar in the theater room. Creative ideas, quality craftsmanship, and superior finishes all combined to make this basement the entertainment epicenter of the neighborhood.